Sin has destroyed peace. Circumstances try to overrun peace. Emotions can’t seem to grab hold of peace but, if this time of year teaches us nothing else, it’s that peace is still a very real thing to not only seek after but to find. The Savior was born for peace. He came to reconcile, restore, and offer peace to mankind of the likes they never could have else wise imagined having. His peace is not commercial and it’s not superficial. The peace of Christ is an inner peace that comes from knowing that even through the hardest trials of life, God’s love for each of us is so magnificent that He offered us this great gift, the best Christmas gift we could ever hope for, through His Blessed Son, the Lord Jesus Christ. Peace should not be so elusive for the heart to behold. 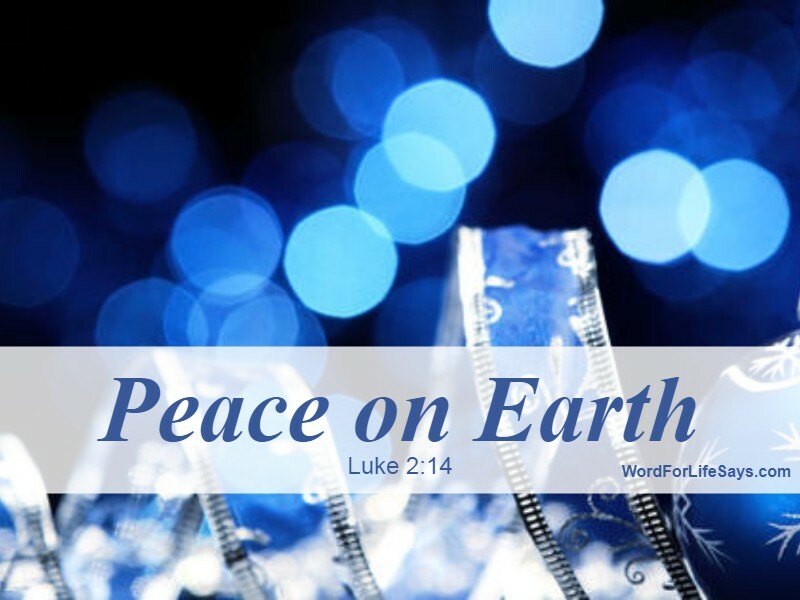 While the Shepherds were in that field on that holy night, the chorus of the angels rang out, “Glory to God in the highest, and on earth peace, good will toward men,” (Luke 2:14). Peace is part of the salvation package; it’s part of the gift we have received through Him. While it may not always seem like it or even feel like it, in Christ you have a peace which, “passeth all understanding,” and this peace “shall keep your hearts and minds through Christ Jesus,” (Philippians 4:7). Your life hidden in Him is something beyond human comprehension. You are cemented in a joy that cannot be moved because the One who holds your hope cannot be moved. Your Redeemer came as a babe and reigns as Victor and He, being the Author of your salvation, is not only your eternal reward in heaven, but He is your peace on earth today. Father God, Help us through this season. Not just the holiday season, but these seasons of life that we find ourselves wrapped in. There are so many questions of why that we may not always understand. There are circumstances that often we just cannot figure out. Thankfully, You know it all together and you didn’t ask us to try to know the beginning from the end because You already do. You asked us to have faith and just rest in the peace that Your Son has already given us. For many, this time of year is very hard. For some situations, we can’t begin to imagine the hurt and confusion one carries, so we stand and pray that people everywhere would feel a refreshing of Your peace in their lives today. AMEN!